I'm still working on this summer vacations album when we will go camping. So for Poppystamps's Patterned paper challenge, I made a layout for this album, using 3 different patterned papers. 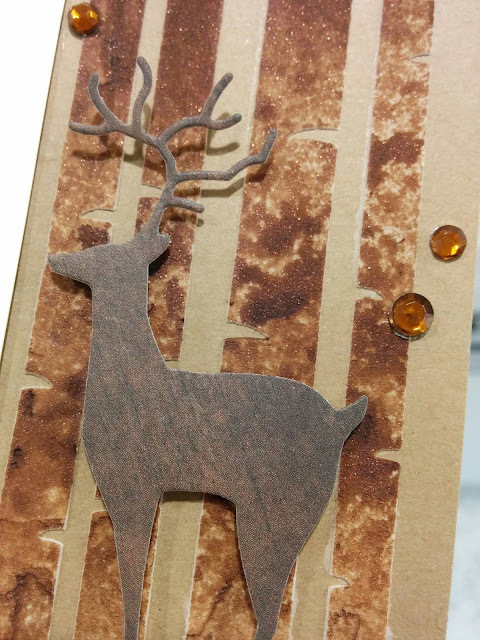 I used Poppystamps' regal deer die POP-DIE-1300 and cut it out from a patterned paper as well. Patterned papers are from BoBunny's Take a Hike collection. 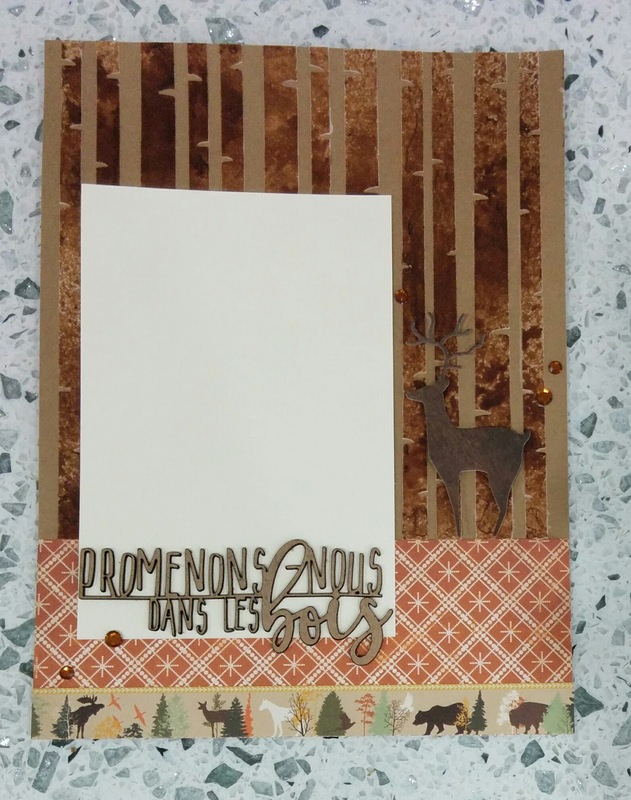 I made the trees using a stencil with white texture paste and then sprayed Lindy's Stamp gang Incandescent cooper ink. Love love the result! Thank you for your visit, have a great evening!